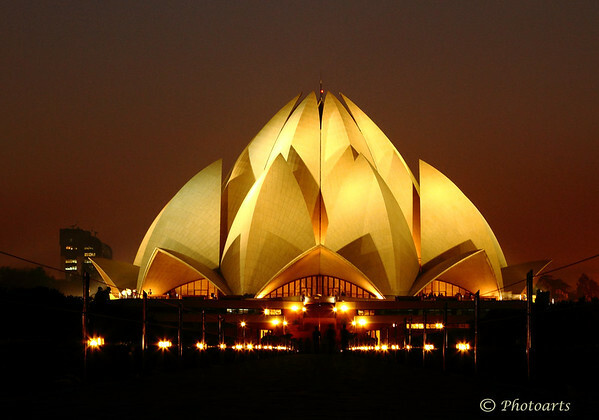 The Bahai Lotus Temple located in New Delhi India, winner of several design awards, shines like a bright jewel in one of the most polluted places on this planet. Beautiful image of a truly beautiful building !!! Wonderful exposure ! This temple is amazing--love the light and color. The architecture and lighting of this temple is stunning! Great work. Great night shot with excellent composition. Wonderful shot and i love shapes and design! Beautiful building and wonderful capture.